Updating a classic but staying within the familiar framework can produce favorable results. 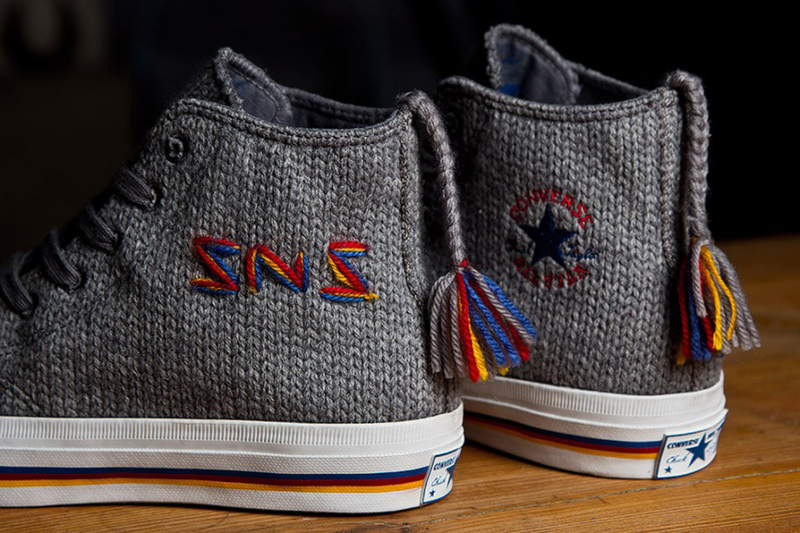 As is in the case of the Sneakersnstuff X Converse Lovikka All-Star collaboration. 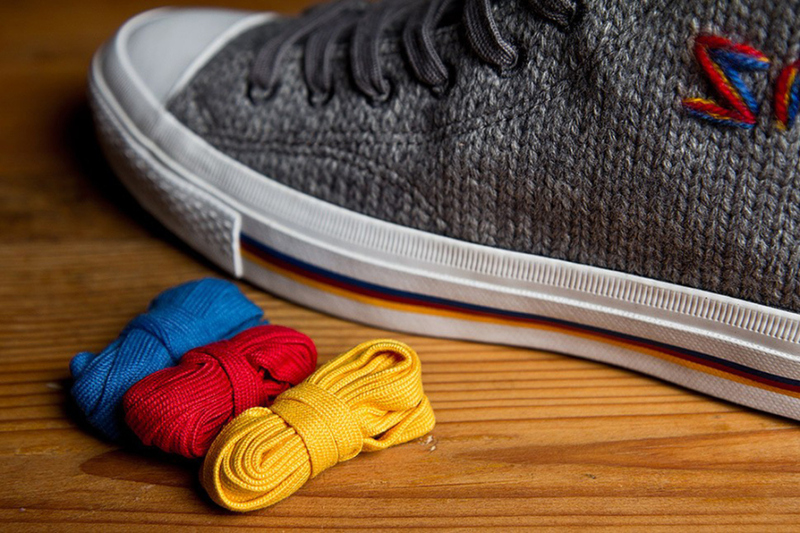 The classic Chuck Taylor All Star Hi shape is upheld. 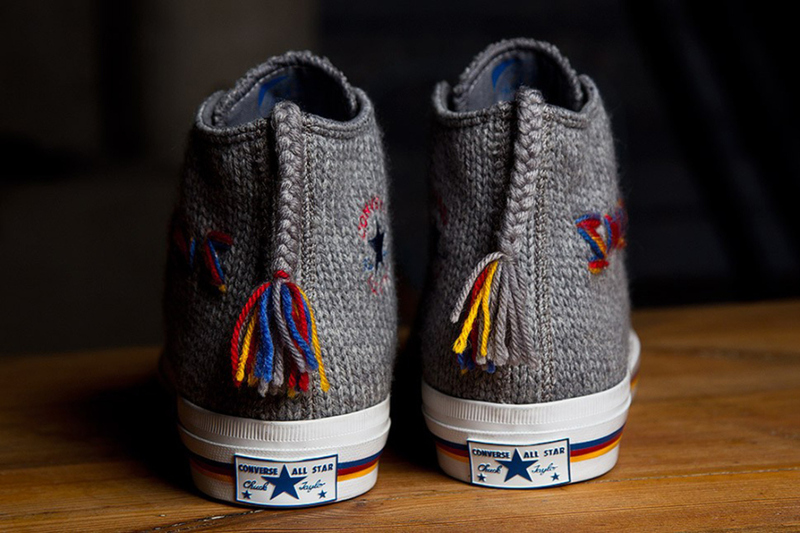 However, it's then given a jolt with a knit upper in a cool grey reminiscent of the Lovikka mitten created by Erika Aittamaa. 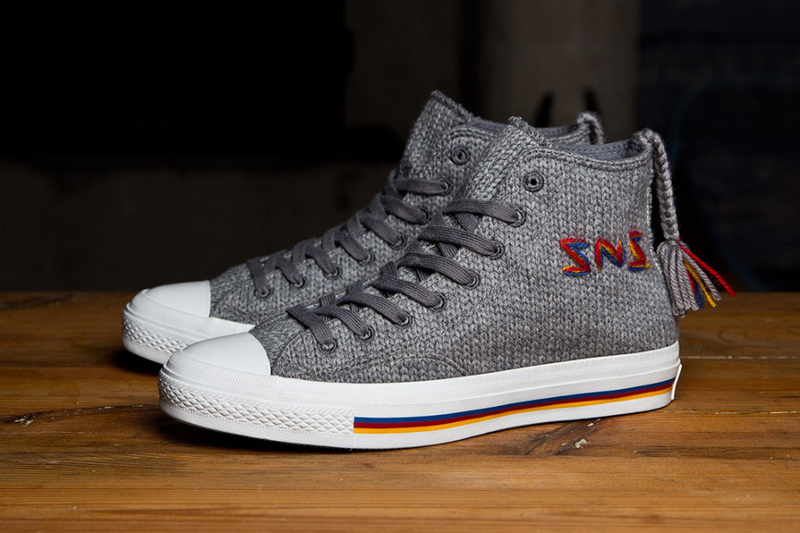 The Swedish retailer SneakersnStuff first collaborated to redo the Converse classic in 2010 and this update is no less sweet. A great addition to all you Converse heads that will be available on December 13 at Sneakersnstuff.com.